Whether your home’s siding needs to be replaced or just repaired, the expert siding installers are able to give your home a beautiful appearance and a job well done. 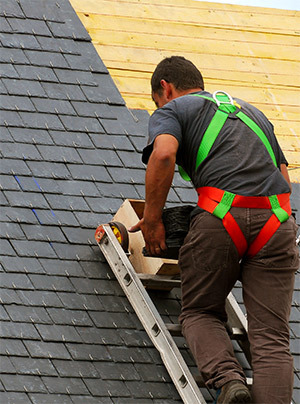 That is iRoofing Toronto’s guarantee to our customers. There are a wide variety of styles of siding to choose from, not to mention the variety of colors. Each type comes with its own pros and cons from cost, maintenance, reliability, and impact on the environment choosing siding gives you aspects and features to consider. Here are some of the things you need to know. Wood has natural charm and beauty and has been used for generations to protect the exterior of homes. Wood is easy to work with and depending on the grade of wood can be sealed with a clear or semi-transparent stain or finished with paint or an opaque stain. Wood requires more maintenance than other types of siding which over time adds to the cost of using wood siding. Wood siding is sustainable and breaks down in landfills. Look for wood siding certified by the Forest Stewardship Council. This type of siding is made with using wood fibers and exterior grade resins. This type of siding can stand up to our Toronto winters is easy to work with and is resistant to insect damage. Some manufacturers offer a 50 year warranty on this type of siding. The cost of engineered siding is less than real wood. Because this siding is made from scraps from the entire tree and the binding resin are low VOC this type of siding results in minimal waste. Vinyl siding is lightweight and durable. It is available in a wide variety of colors and because the color is throughout the material nicks and scratches are less visible than on a painted or stained siding. This type of siding is manufactured to look like a variety of different materials including wood and stone. This type of siding is installed quickly and maybe able to be installed over existing siding. A relatively new type of vinyl siding has a layer of insulating polystyrene foam providing an addition insulating value of R-2 to R-6. Insulated siding will cost more than the non insulated version. Vinyl siding is low maintenance; it never requires painting and dirt can be easily washed away. Vinyl siding is long lasting and for this reason is not a green product. Vinyl siding in landfills will not break down. Stucco is often used to retrofit and old home’s original appearance. It is extremely durable and will last a lifetime when well maintained. Stucco does not require painting as the color is mixed throughout the material and stucco is resistant to inspects and fire. Stucco is a more expensive type of siding because it is labor intensive. Stucco requires skilled installers and special equipment. Our company has experienced installers to get your job done. New stucco formulations are environmentally friendly using earth and lime instead of Portland cement which is linked to CO2 emissions. Made with a mixture of cement and aggregate, synthetic stone is cast in molds. Modern technology has improved the appearance of synthetic stone so it now looks like the real thing. This type of siding is available in a variety of shapes and sizes and to look like different types of stone including limestone, field stone, and granite. Usually this type of siding is used as an accent rather than as siding for the entire house. It can be used with wood, vinyl, and stucco as an accent to the lower portion of a wall or to cover the exterior of chimneys. This type of siding is friendly to the environment and is long lasting. However it comes at a cost; it costs less than real stone but is more expensive than some other types of siding. The expert siding installers at our company have the skills and experience to install or repair almost any type of siding you choose. 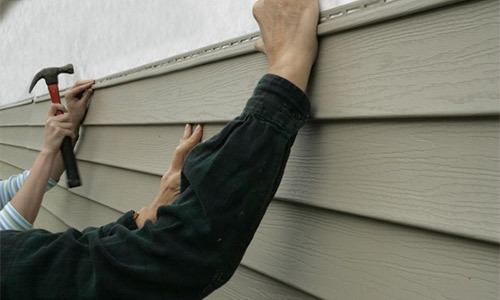 We pride ourselves on being a siding contractor you can trust.